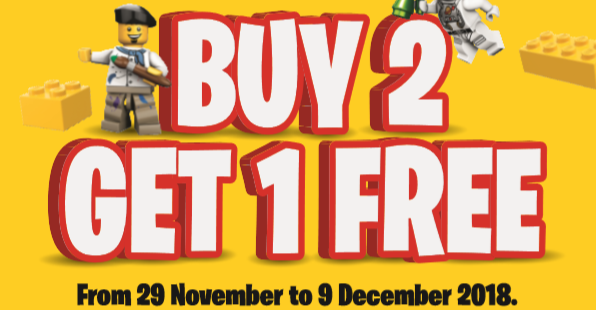 Home > Toys & Games > Toy > Bricks World: Buy 2 LEGO® Sets & Get 1 FREE Set! 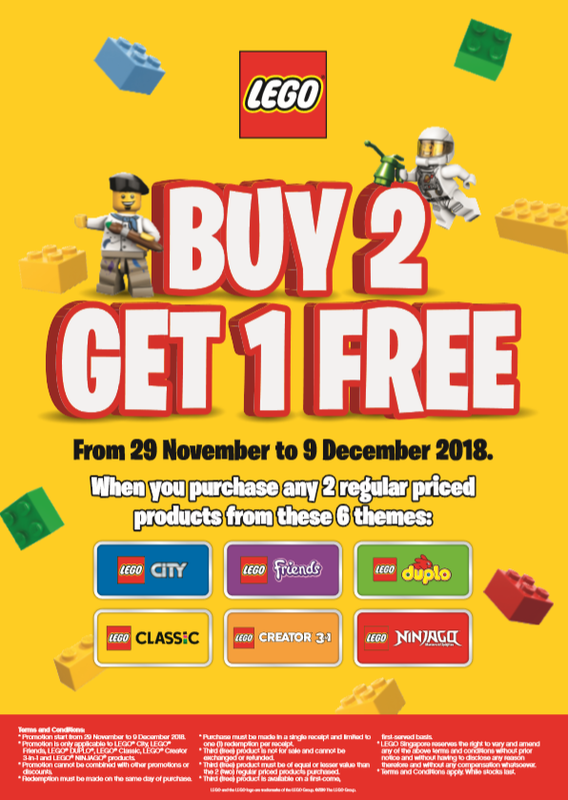 Till 9 Dec 2018 Bricks World: Buy 2 LEGO® Sets & Get 1 FREE Set! LEGO® BUY 2 GET 1 FREE OFFER! Enjoy this festive deal to grab more presents for yourself and loved ones at Bricks World! Buy 2 LEGO® sets and get 1 FREE set! Choose from a wide variety of goodies from their LEGO® City, Classic, Creator 3-in-1, Duplo, Friends, and Ninjago themes! Promotion is valid from 29 November to 9 December 2018. Excluding LEGO® Keychains, Loose Minifigures, Stationery, Pick-A-Brick, Build-A-Mini, and other non-boxed LEGO® products. Not stackable with other ongoing promotions and LEGO® Gift With Purchase. Promotion not valid for online purchases. While stocks last. Other terms and conditions apply. See in-store for more details.